MOSCOW — Russia said Tuesday that a recent series of drone attacks on its military bases in Syria would have required assistance from a country possessing satellite navigation technology — a statement that appeared to be aimed at the United States. 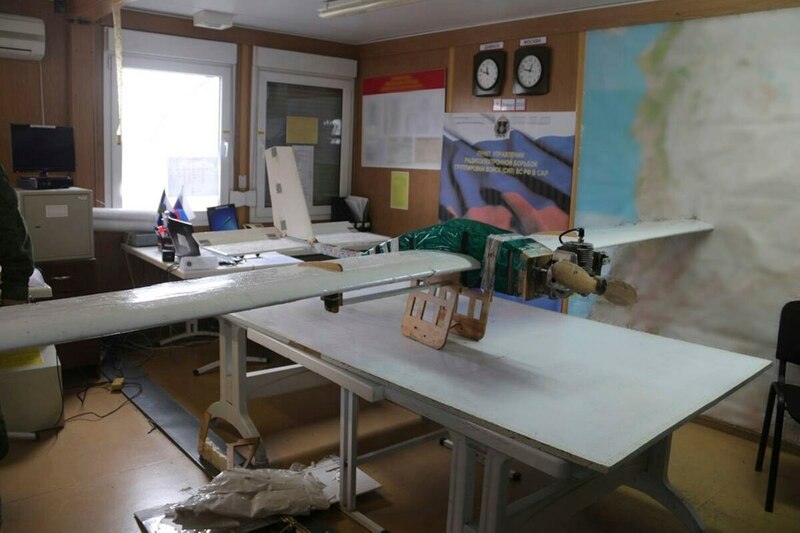 Russia’s Defense Ministry said its forces repelled a series of drone attacks Saturday on the Hemeimeem air base and a naval facility in Tartus, adding that out of the 13 drones involved, seven were shot down and six were forced to land without inflicting any damage. In Tuesday’s statement, it noted a “strange coincidence” of a U.S. military intelligence plane flying over the Mediterranean near the two Russian bases at the moment of the attack. The U.S. and Russia support opposing sides of the Syrian civil war. Russian President Vladimir Putin declared victory in Syria last month and ordered a partial troops pullout, and the Kremlin said late Monday that the number of Russian troops left in Syria is sufficient for fending off any attacks by militants. Asked Tuesday whether the withdrawal could have been premature in view of the drone attack, Putin’s spokesman Dmitry Peskov said the Russian forces in Syria have “all the necessary means” to counter any challenge. Syria’s President Bashar Assad has recovered major territory from rebels in Syria in the past two years, largely because of Russia’s military support. His forces are currently battling rebels on two fronts, in the northwestern Idlib province and in the eastern suburbs of Damascus. Opposition activists have reported airstrikes and shelling of rebel-held Damascus suburbs that killed and wounded dozens. The Britain-based Syrian Observatory for Human Rights said warplanes attacked several suburbs of Damascus, including Saqba, where a man and a child were killed and 13 others were wounded. The Observatory and the Syrian Civil Defense, first responders known as the White Helmets, reported airstrikes on other suburbs, including Harasta and Douma. Syria’s state news agency SANA said rebel shelling of the capital Tuesday killed five people and wounded 30. SANA said 15 shells struck the central, predominantly Christian neighborhood of Bab Touma. The capital has been shelled on a near-daily basis in recent weeks. Turkey’s foreign minister accused Syrian government forces of attacking moderate opposition fighters under the guise of fighting extremists. Mevlut Cavusoglu’s comments came a day after Syrian government forces captured 14 villages as they advanced on Idlib, the largest rebel-held enclave in the country’s north, amid a wave of airstrikes. The troops aim to reach a rebel-held air base and secure the road linking the capital, Damascus, with the northern city of Aleppo, Syria’s largest. The government offensive around Idlib has forced thousands of civilians to flee toward the border with Turkey. Cavusoglu said Syrian government attacks on moderate opposition forces would “axe” peace efforts. Turkey, which backs the opposition, and Russia and Iran, whose wide-ranging support for Assad has turned the war in his favor, have taken the lead in Syria peace efforts over the past year. The U.N. humanitarian chief arrived in Damascus Tuesday to assess the humanitarian situation and discuss with government officials ways of improving access and aid delivery. Mark Lowcock’s visit is the first by the head of the U.N.’s humanitarian agency since December 2015. The U.N. estimates that more than 13 million people need basic aid and protection across Syria. Lowcock is expected to meet government officials and visit the central city of Homs during his three-day visit.